When suburban mother of two Judy Davids picked up a guitar and conspired with the neighborhood moms to form an all-mom rock band, she never imagined it would actually happen. Within weeks, the Mydols were born. Did they have a clue what they were doing? Nope. But from that point on, it was full steam ahead and never mind the laundry. Rock Star Mommy is a rallying cry for every woman who fondly recalls when she spent more time in mosh pits than “Mommy and Me” classes. From the moment Judy Davids donned a pair of go-go boots and jumped onstage, she embarked on an unforgettable journey. 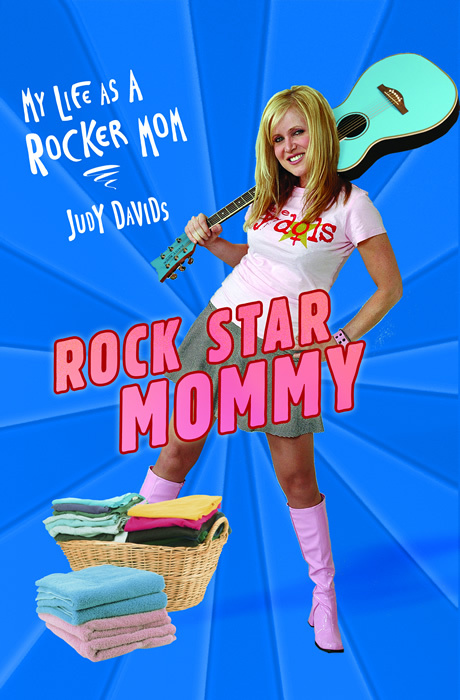 Rock Star Mommy chronicles Davids’ experiences as a music fan, a mother, and the leader of the Mydols—one of the first “mommy” rock bands in the country.